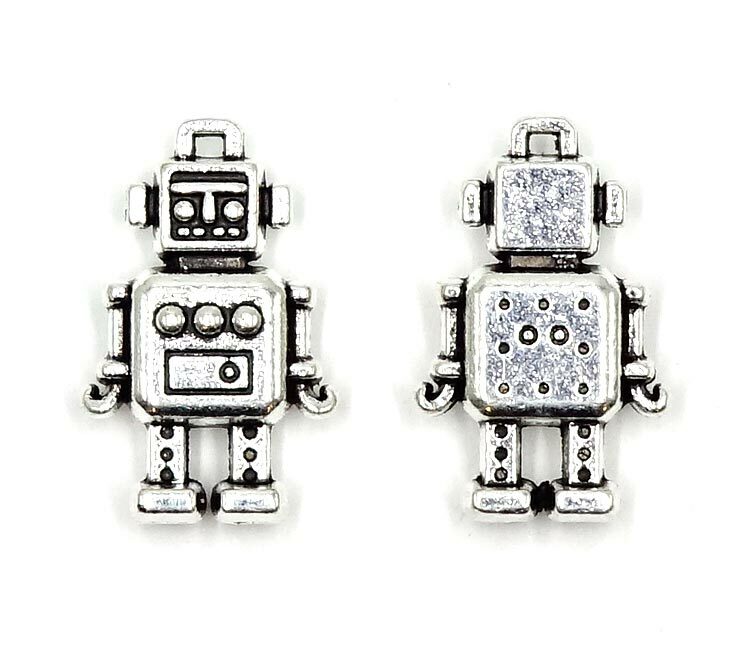 A super cute robot charm that is fully 3D and it is double sided. 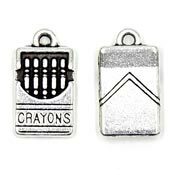 Silver-tone charms that are perfect for kids projects or anything robot, space or engineering themed. 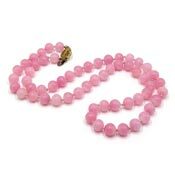 Both the front and the back of a charm is shown in the photo. 18 mm high (includes the loop) and 12 mm wide.